Crystal chandeliers for all tastes ! Choosing the perfect crystal ‘jewel’ for your home ! 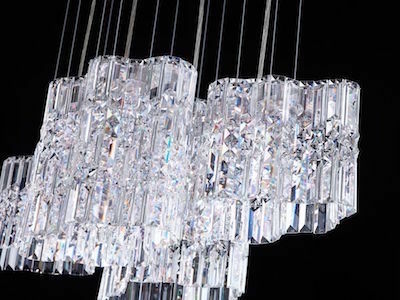 For centuries now, crystal chandeliers have been making lasting impressions. 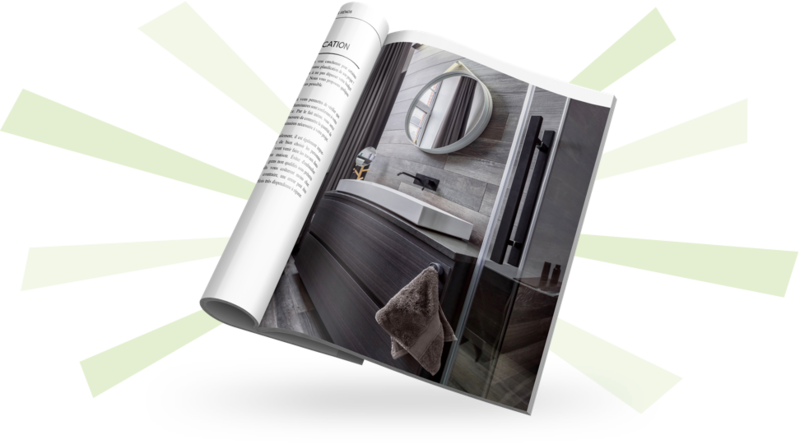 With time, they’ve adapted to modern trends and evolutions in design. Today, more than ever, people are looking to brighten and liven up their homes and their lives with beautiful design elements that create a peaceful refuge from the harried outside world.Below, we present some new products that boast impeccable pedigrees in an array of modern and traditional styles. 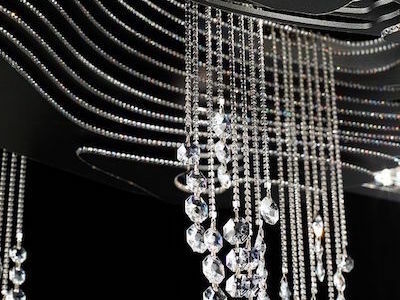 And, since there are many criteria to consider before purchasing a crystal chandelier, we’ll also try to shed some light on them. Crystal chandeliers will become the focal point in almost any room in the house. 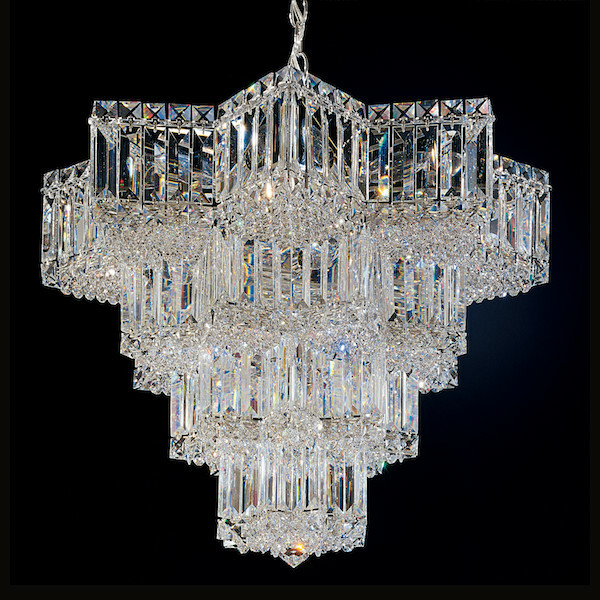 If you need general lighting, a crystal chandelier or ceiling light may be just what you need. Select a chandelier whose height once installed will leave at least 7 feet of clearance below it. 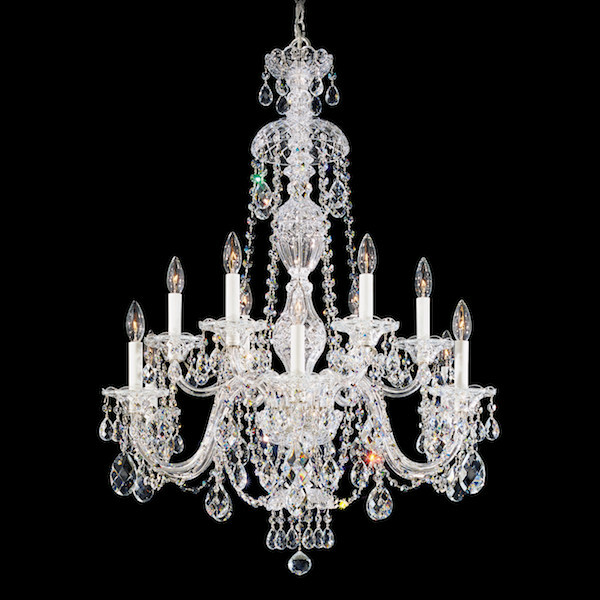 Most crystal chandeliers are adjustable since they’re suspended by a chain. If you install a chandelier over a dining room table, leave 30 to 36 inches of clearance between the top of the table and the bottom of the chandelier.If you're looking to light a specific area, you can choose from the many beautiful crystal wall, table and floor lamps available. 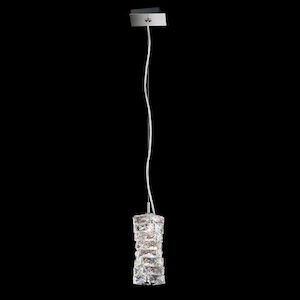 With the thousands of twinkling lights reflected from their crystals’ facets, these lamps are sure to liven up your room ! Always consider the size of the room when choosing a chandelier, as the size ratio between the two must be appropriate. Unfortunately, no official mathematical rule exists to determine this ratio precisely. 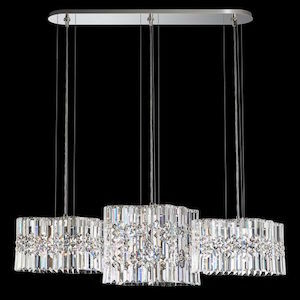 However, there are a few helpful benchmarks you can rely on.Depending on the model and style, crystal chandeliers are designed vertically or horizontally. A chandelier’s height often relates to its overall scale. You also need to choose the right location for a crystal chandelier. For example, a multi-tier chandelier is perfect in an entrance hall that features a staircase; its brilliance will highlight the height and glamour of the staircase. 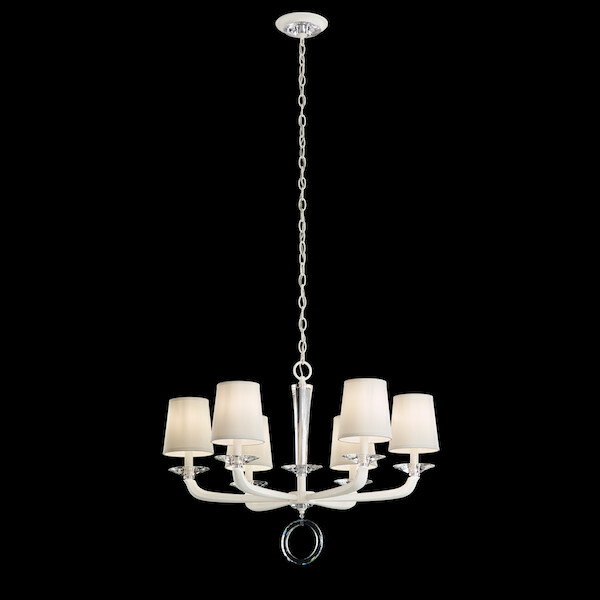 At the other end of the spectrum, an entry with a standard ceiling height of 8 or 9 feet will be better served by a chandelier with one or two tiers. 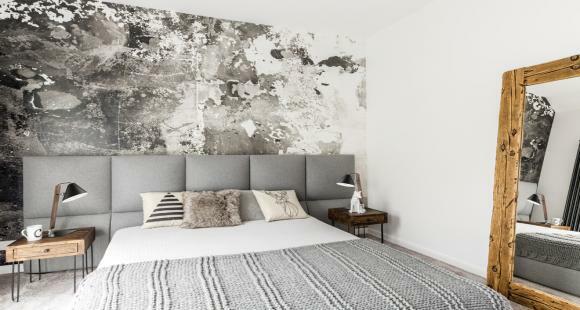 At any rate, you can always round out any room’s lighting scheme with a matching wall, table or floor lamp. Some large prestigious chandeliers are very heavy. Make sure the ceiling where the chandelier will hang is built to support such a load. Keep in mind that a chandelier’s weight is not distributed at all but is concentrated at a single spot and point of support. Therefore, it’s a good idea to assess this criterion before getting started. To accommodate a crystal giant, it’s often necessary to reinforce the attic ceiling with a strategically placed, fixed support ! 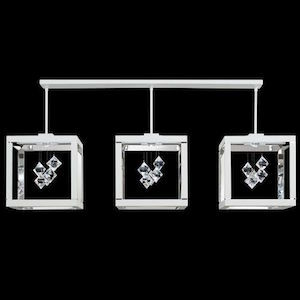 Dionia chandeliers have refined lines set into a square crystal structure. Dotted with faceted prisms, they reflect light in all directions, lending body and substance to the chandeliers’ slim and elegant silhouettes. Triangular crystals embedded in a polished metal cupola are the highlight of this collection, creating a star-shaped light effect. This collection offers a chic balance of form and artistry. 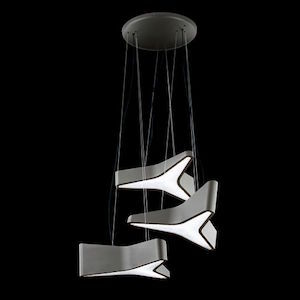 Selene pendants are independently adjustable and can be arranged in an infinite number of combinations. 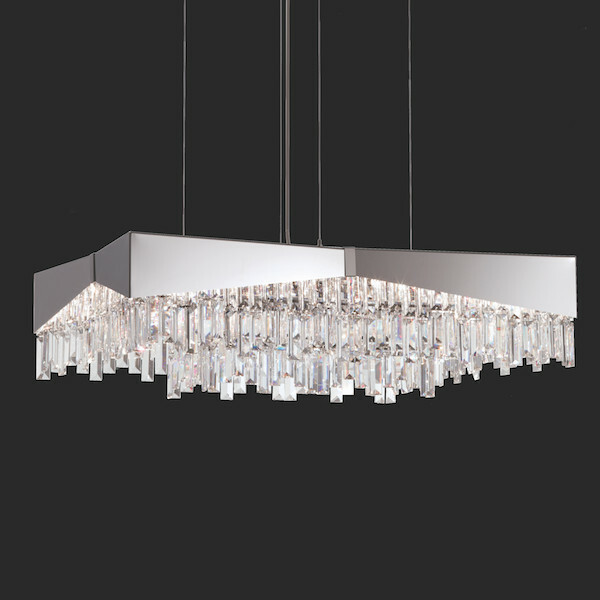 Their Swarovski prisms reflect light in a myriad of bold, dramatic and glittering patterns. 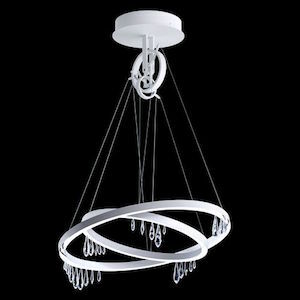 Solarius chandeliers are unique, modern designs composed of beautiful crystals that hang from multiple circular metal structures. 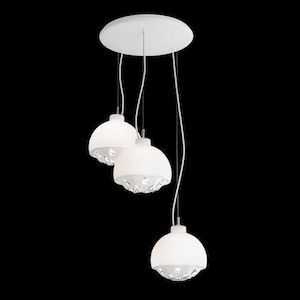 Simply adjust the height of the circles to your taste, and let gravity turn these chandeliers into unique pieces of art. This collection incorporates elegant triangular shapes that feature Swarovski crystals set into a smooth and refined metallic structure. Triniti’s simple designs come in a multitude of glittering reflections that shine brightly and serve as any room’s focal point. 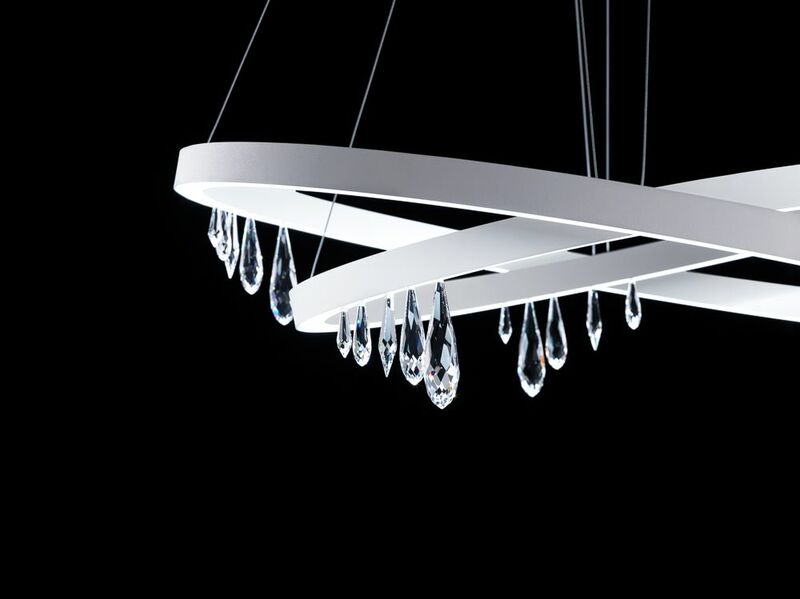 This collection’s angular crystal prisms reflect geometric light beams that shine downward. Their modern style adds a unique touch to any 21st-century décor. Fyra chandeliers are adorned with exquisitely faceted crystals set into a handmade metal frame glittering with a myriad of colour fragments that send flickers of light in all directions. 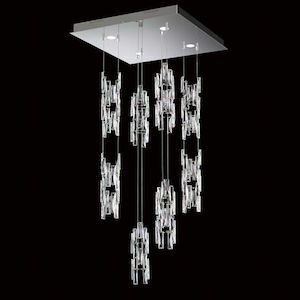 This collection’s crystal prisms overlap in perfect harmony to create an attractive irregular design. 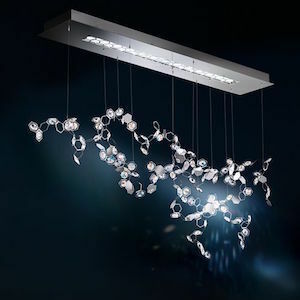 The twisted silhouettes of these chandeliers reflect light in a multitude of geometric bursts. Thanks to the artistic flair of their gorgeous constellations of crystal pendants and craftsman-like attention to detail and elegance, the chandeliers in this collection are sure to brighten up any room. The essence of an interior décor lies in its dominant style theme. The same goes for crystal chandeliers. These photos of chandeliers in well-defined styles will help you make the right choice to match your home’s décor. The transitional style brings together traditional concepts and contemporary design for a comforting and timeless atmosphere. This style eschews fussiness and heavy ornamentation. Classic and comforting, the traditional style creates a reassuring bridge to the past for a refined style that suits homes with architectural details. Look for elegance, curves, worked metal and ornamentation. The modern style is distinguished by its originality and spectacular forms that feature well-defined and avant-garde structural lines. Look for chrome, stainless steel, transparency and brightly coloured crystals ! 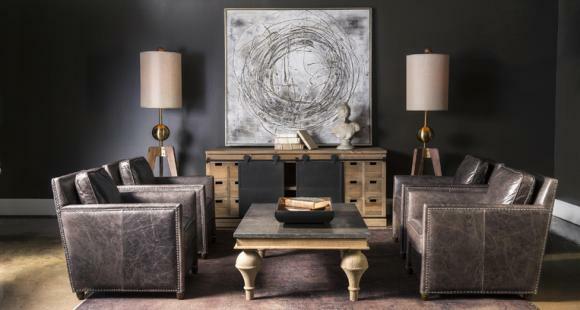 Comfort and functionality merge in the contemporary style to emphasize brilliance and offset neutral tones. Look for well-defined crystal components set into a symmetrical structure. We present you the 12 table lamps that have the greatest popularity lately. If you want to see the entire collection, we have made available to you the link of this one. Pretty console table lamps you'll love ! 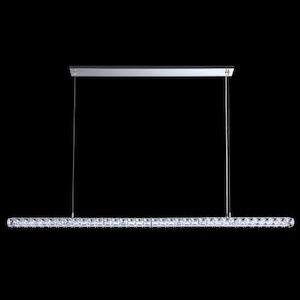 Some suppliers offer a wide variety of furniture and table lamps that can be integrated into any room in your home. Simply choose the product that best suits your style !